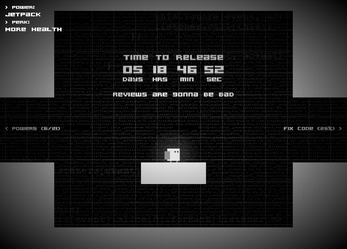 Release is coming very soon, and several glitches have been reported. Your job is to fix them in time. 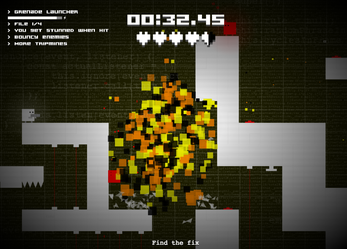 Each level features a different set of glitches that will affect the gameplay: low gravity, water physics, larger enemies, larger explosions... and many more (there are currently over 40 glitches implemented in the game). In order to help you fix all these glitches, you can unlock special powers, such as a rocket launcher, a teleporter, a gravity inverter, a shotgun, as path finder... as well as a perk, which will make your job easier, for instance by reducing damage, dropping more items, giving you more health... 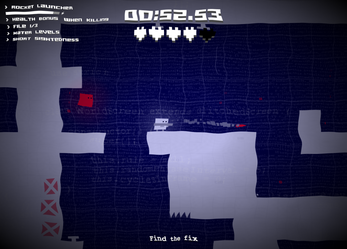 Picking the right powers for the right glitches can make all the difference! 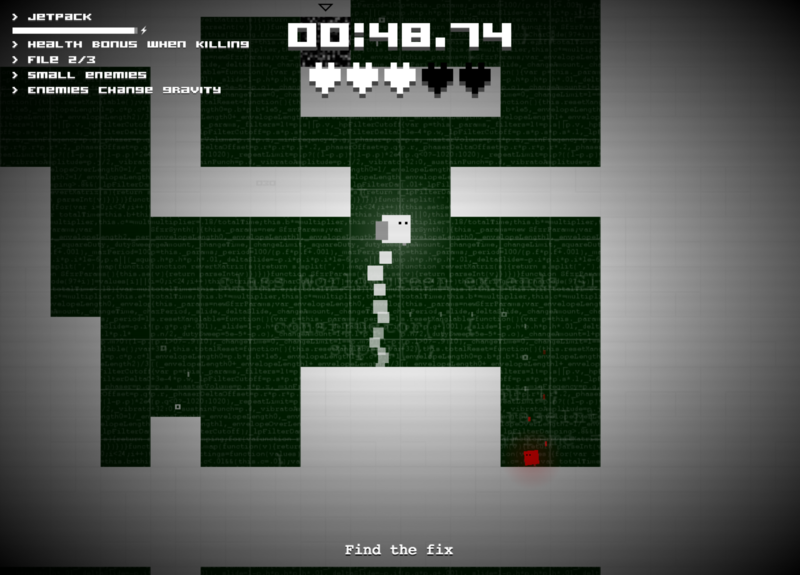 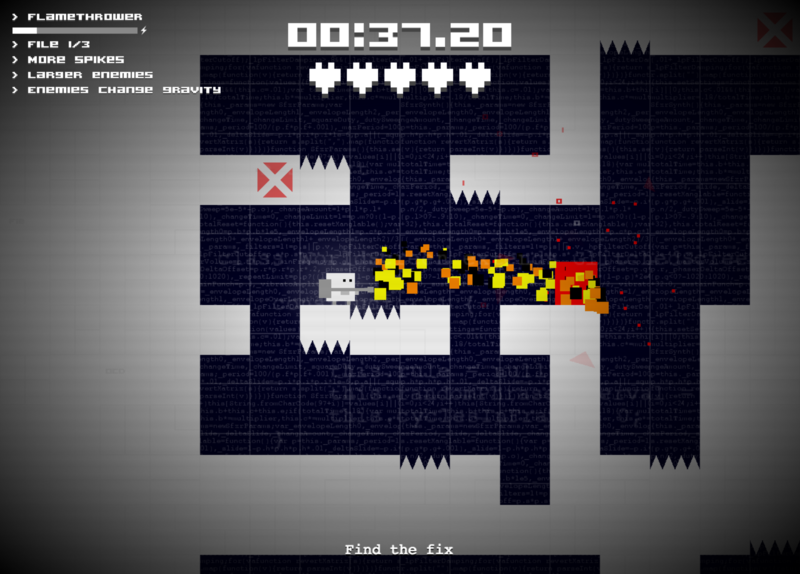 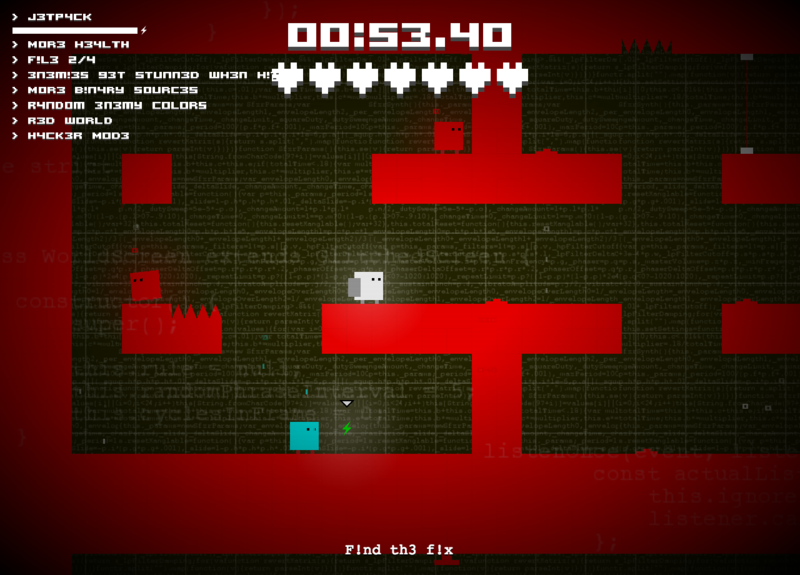 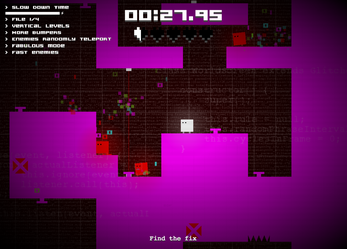 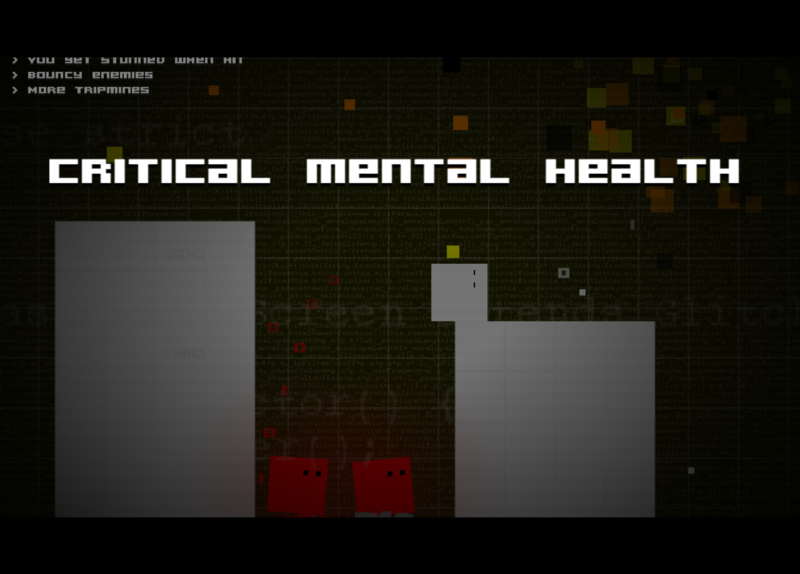 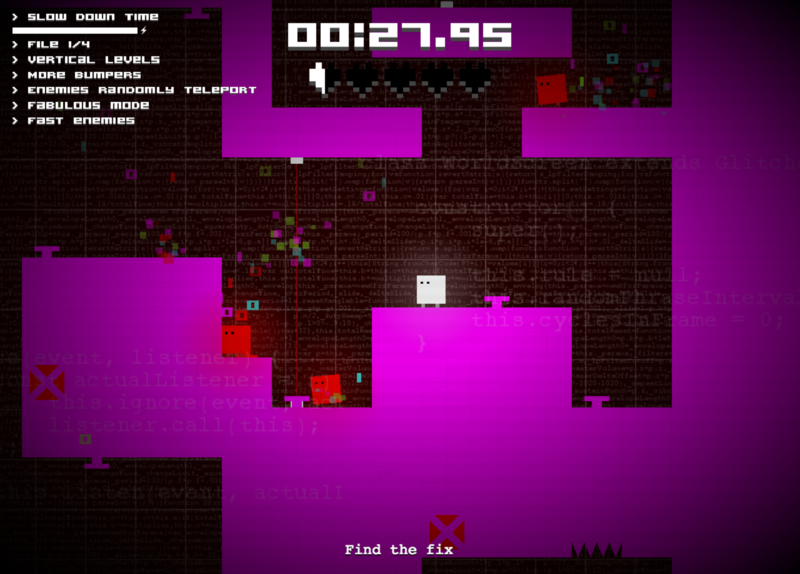 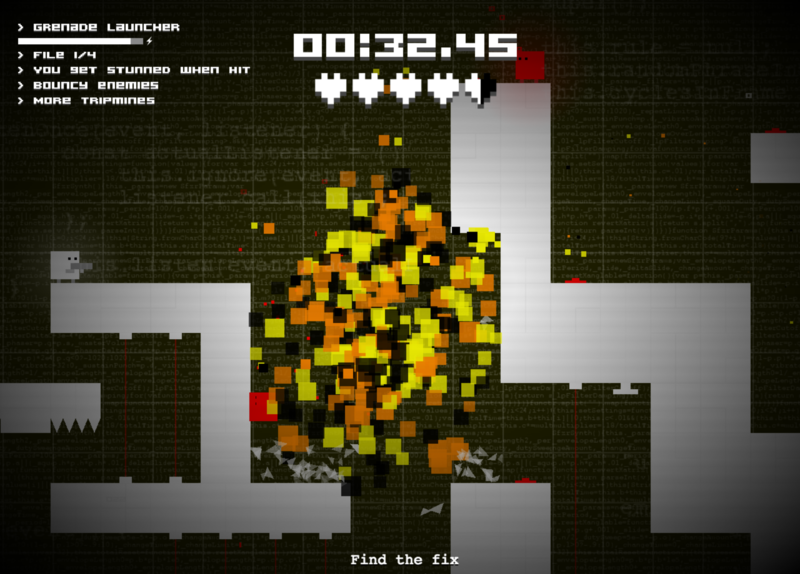 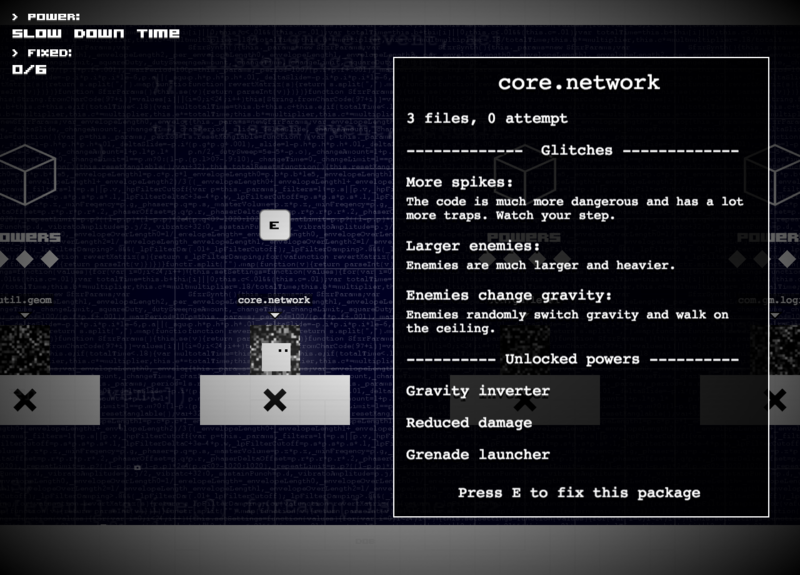 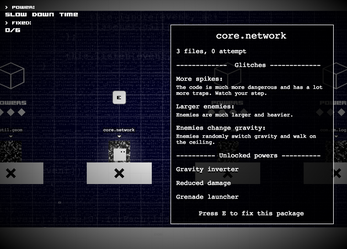 Each level is procedurally generated and can be restarted if you fail, but will consume time. 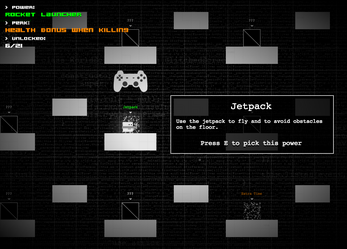 Its general layout will remain the same so you can learn from your mistakes. 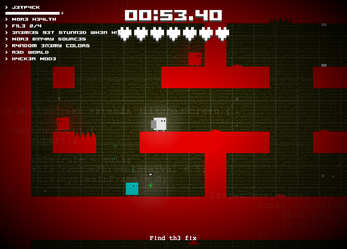 The game features both keyboard and controller support.